The project RED DRAGONFLIES started with a discovery of a home-video tape, which documented a hike through an abandoned railway track back in my high school days. The handheld footage that was collectively recorded by different people was an exciting find for me. 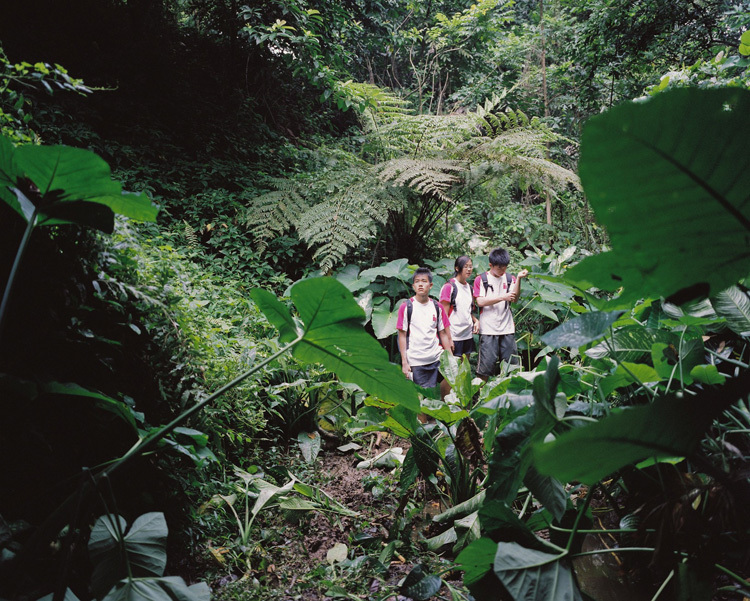 More than just mere personal memories, the video reveals an intertwined relationship between the place, the people and the time: there is something displaced yet strangely coherent about a group of 17-year-olds dressed in red and white T-shirts and black track pants, walking through an overgrown railway in the early months of 2002. I conceived the film from personal memories of growing up and sentiments about a point in life where one starts to rethink childhood dreams, the purpose of work, and the pursuit of happiness. The film also depicts a series of portraits of places. In a city undergoing rapid redevelopment, Singapore’s old towns, aging infrastructures and icons of the previous century are being torn down or refurbished. Upon the completion of our production, parts of the abandoned railway tracks were demolished to make way for the expansion of a Buddhist temple in the neighborhood; other segments were barricaded for redevelopment. By filming slices of life in these places and realigning them in the context of the story, I want to capture and preserve the collective memories of different generations of people, and how they affect the characters in both profound and mundane ways. Liao Jiekai, graduate of the School of the Art Institute of Chicago, directed RED DRAGONFLIES (Special Jury Prize, Jeonju) and edited WHITE DAYS. He is also the contributing artist to Nedko Solakov’s The Flying Method of an Artist with a Fear of Flying at the Singapore Biennale 2011.